I am passionate about Manufacturing. It creates a strong middle class. At Marlin Steel, we only build in the USA and we value our employees. I am most proud of our safety record. US Secretary of Treasury Timothy Geithner with Dr. Marshal Greenblatt reviewing Marlin Steel’s USA made technology forming wire that will be exported to China and Mexico (every week)! (National Association of Manufacturers) Board Member September 2007 to September 2009, currently an Executive Board Member and Chairman of the Small Business Tax Policy Task Force. NAM is the largest association of manufacturers in United States; dedicated to the interests of the manufacturers of America. Represents manufacturers in the Baltimore Metropolitan area. RMI is unique in that it has representatives of Business, Government, Education, Labor and the community serving on the Board of Directors. Maryland Advisory Commission on Manufacturing Competitiveness Member. 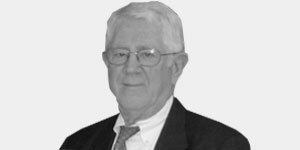 Co-Founder & Chairman Emeritus - National Alliance for Jobs and Innovation. Served as President for 2 years and on the board of the Wire Fabricators Association from 2003 to 2011. President January 2007 to January 2009, only association representing all wire fabricators in North America; dedicated to improving operations and quality. Board Member 1988 to Present, established by my family and me to honor excellence of teachers and students in Montgomery County, Maryland. One of our honorees, Ms. Kimberly Oliver, in 2005 became the National Teacher of the Year in 2006 and was honored at the White House in April 2006. 2010 Marian Greenblatt education fund awards. 2009 Four MCPS Educators Win Marian Greenblatt Teaching Awards. Speaker at NAFTA seminar - October 23rd in Baltimore. Marlin Steel President Drew Greenblatt is on the Advisory Board of the National Alliance for Jobs and Innovation (NAFJI). Guest Lecturer Johns Hopkins University. Guest Lecturer Metal Power Industries Federation. Drew created a state-of-the art, highly successful business manufacturing custom industrial baskets, shelves and hooks from the small bagel basket company in Baltimore that he bought in 1998. Today, his products are exported to approximately 25 countries worldwide and support a growing number of good-paying, high-skilled jobs. 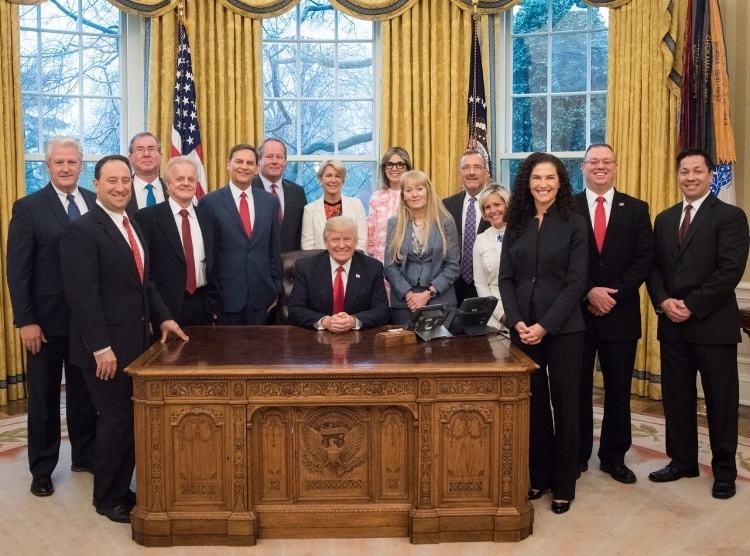 Drew's extraordinary energy, expertise and leadership on the National Association of Manufacturers' (NAM) Executive Committee have been tremendously valuable in our efforts to make the United States the best country in the world to manufacture, to innovate and to create jobs. The U.S. Chamber of Commerce congratulates Drew Greenblatt, President of Marlin Steel, for being recognized as one of Maryland's International Business Leaders by the World Trade Center Institute in Baltimore, MD. Marlin Steel exports to over 20 countries and Mr. Greenblatt understands the importance of international trade and the impact it can have on small business. Last April, Drew testified on behalf of the U.S. Chamber of Commerce before the U.S. House of Representatives Small Business Committee on Evaluating the Impact of Small Business Trade Policy on Job Creation and Economic Growth. He explained: "America cannot have a growing economy or lift the wages and incomes of our citizens unless we continue to reach beyond our borders and sell products, agricultural goods, and services. After all, 95% of the world's population lives outside the United States. We want to sell to them." Drew's leadership on the importance of international trade is recognized by the business community and he is a very deserving recipient of the International Business Leaders award. Drew Greenblatt and Marlin Steel Wire Products represent the future of Next Generation Maryland Manufacturing. Embracing high tech, high skills, and sophisticated manufacturing practices, Marlin is a "show case" of success. 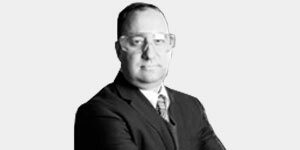 Drew is the Chairman of the Board of Directors of the Regional Manufacturing Institute (RMI) He has led RMI to a new level on significance. He is a great friend and a passionate and effective leader. 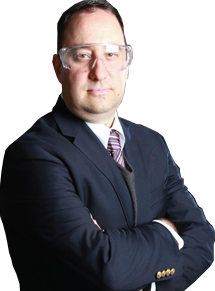 As a fellow member and past president of the Wire Fabricators Association, Drew Greenblatt has been a consistent and highly regarded leader within our industry group. Drew always brings a high level of energy to every discussion and he is rich with ideas. He is a fun guy to be around and I look forward to seeing him at our industry group functions. I know Drew is very committed to manufacturing American made products and to protection of intellectual property rights. He is fair minded but absolutely not afraid to compete. I've always been impressed with the way he has been able to grow his business and with the shear sense of hustle and urgency that he always seems to exhibit with his business. I am glad that I don't have to compete against him! Drew Greenblatt and his company, Marlin Steel Wire Products, have been very active in the Wire Fabricators Association for quite some time. Drew has sponsored many companies for membership in our organization and has motivated others to do the same. He is a man of his convictions and always proves that there is a better way to do things; status quo is simply not acceptable. During his presidency, Drew implemented numerous member services that did nothing but make our organization stronger. He continually thinks outside the box and always offers suggestions to raise the bar for our organization and our member companies. He is a team player and works hard to not only increase the respect and visibility for his company, but for other wire fabricating companies, the Wire Fabricators Association and the industry as a whole. I can think of no other company or individual more deserving of this honor. Marlin Steel manufactures materials handling and cleaning baskets, sheet metal fabrications, wire forms, and machined products for aerospace, automotive, medical, pharmaceutical, industrial, and military applications. Growing seven years in a row despite the recession, Marlin's execution of Quality Engineered Quick® - is leading the company to success. What does QEQ mean? Quality: Marlin Steel (ISO 9001:2015) focuses on quality. 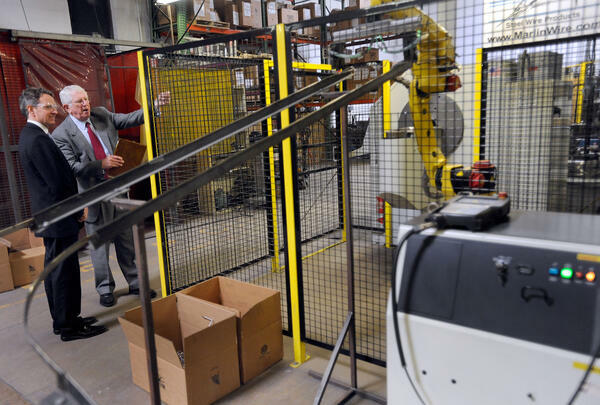 Over $3 Million worth of new robots and automation investments have enabled Marlin Steel's team to make more precise parts. Marlin Steel's USA-made punch and USA-made laser hold tolerances of +/- 0.004" (0.1mm) and its Press Brake has tolerances of +/- 10 Microns! Check fixtures for each project ensure quality is built into every step. Articulate Parts for Easy Retrieval. Quick: Shipping quickly is critical when factories run at email pace. Shipping 4,500 custom baskets six business days after receiving the order is standard fare for Marlin Steel. Fast delivery enables nimble US factories to meet challenging client demands. It is not just speed: 2,000+ days of operations without a safety problem is a tribute to the positive safety culture at Marlin Steel. Marlin Steel makes everything in the USA and exports to 36 countries. Marlin is proud to be part of the Manufacturing Renaissance sweeping the USA. Everyone at Marlin Steel is proud to say "made in the USA."